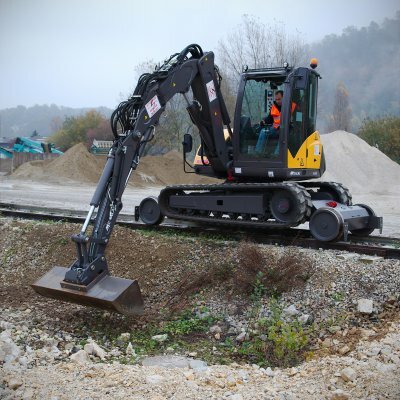 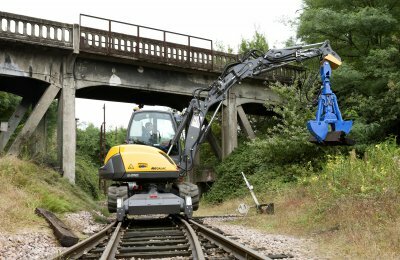 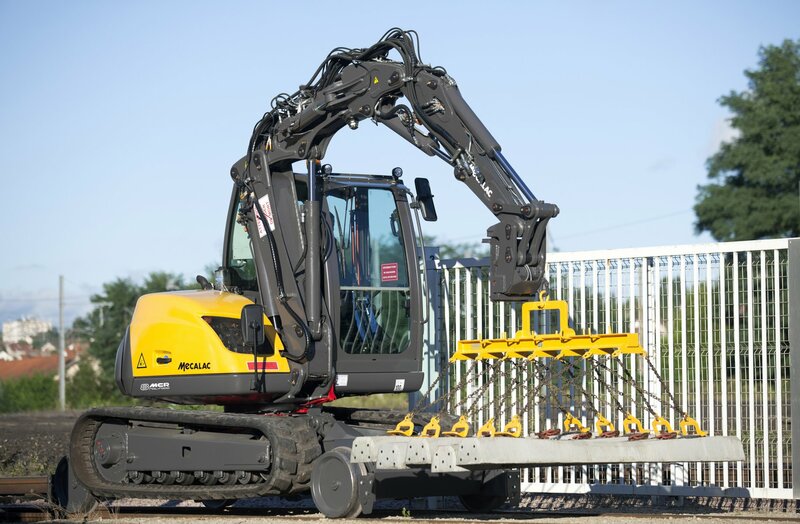 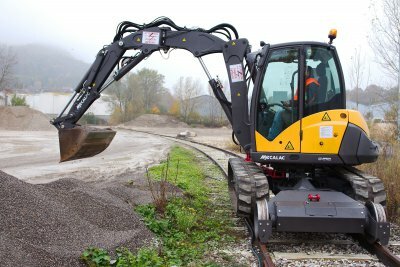 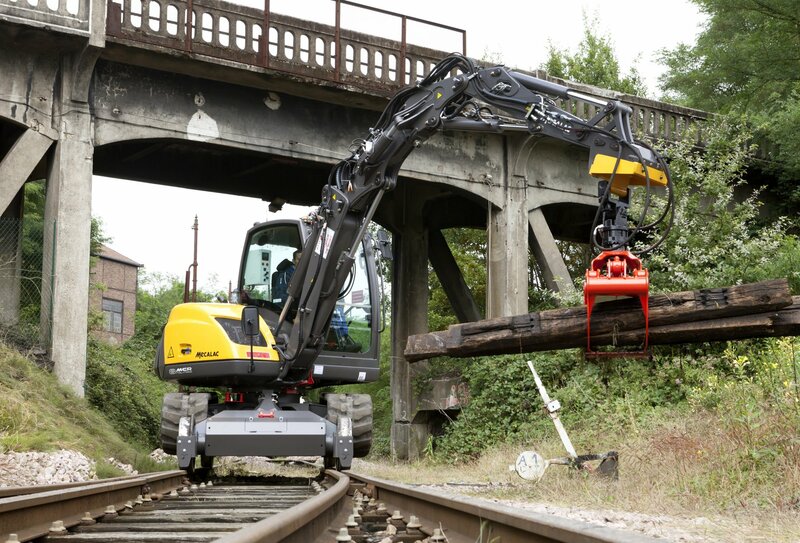 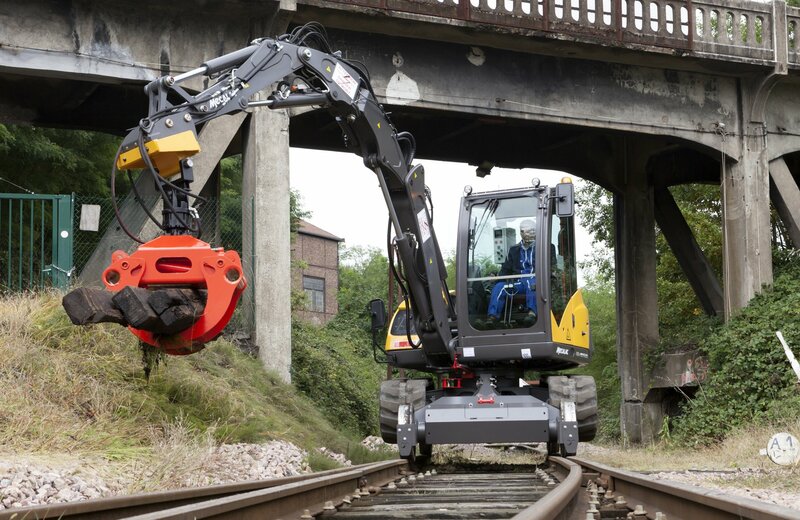 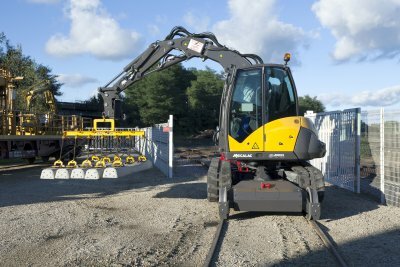 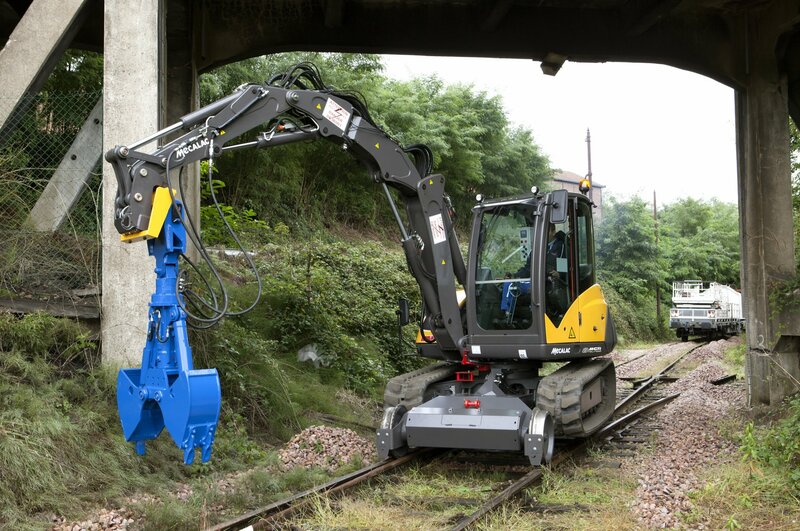 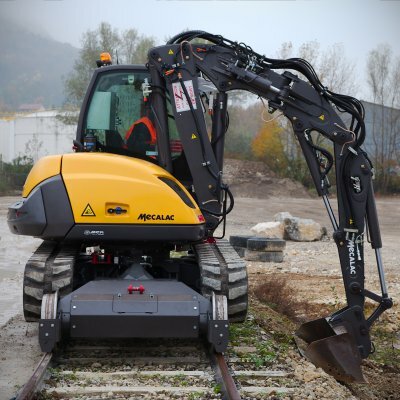 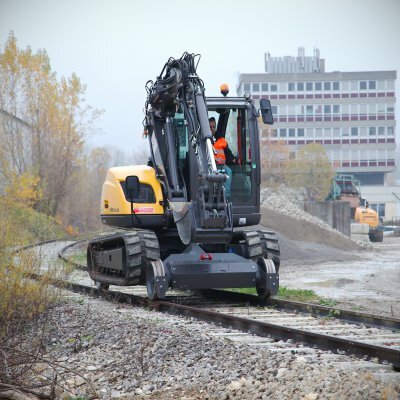 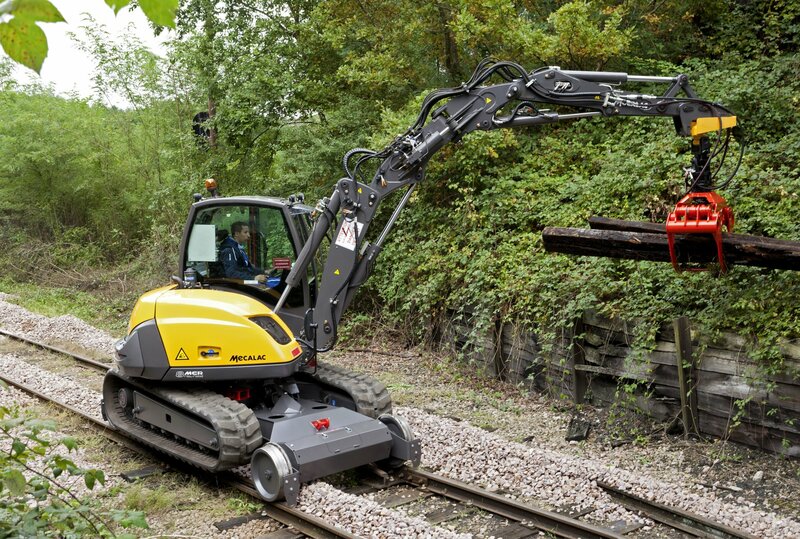 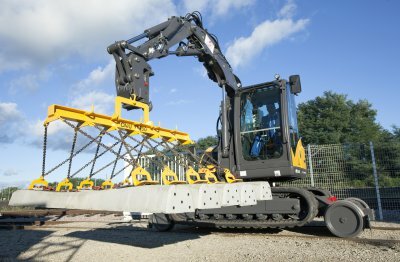 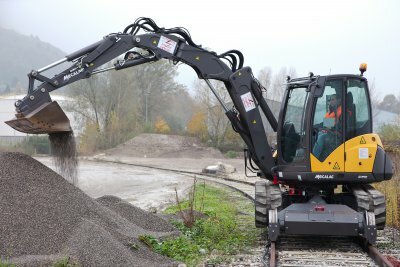 As a common feature and denominator to all Mecalac excavators, the unique 3-piece-boom with integrated offset, provides the machine with unmatched compactness and versatility. On this basis, Mecalac has developed the MCR range, new innovative concept based on the perfect fusion of a loader with total rotation and a compact crawler excavators 10 km/h high-speed. 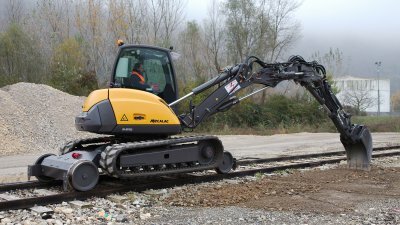 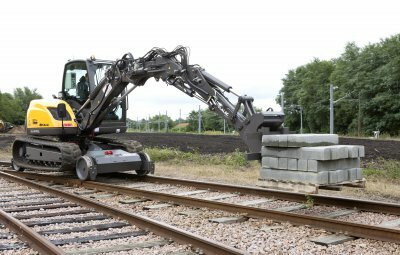 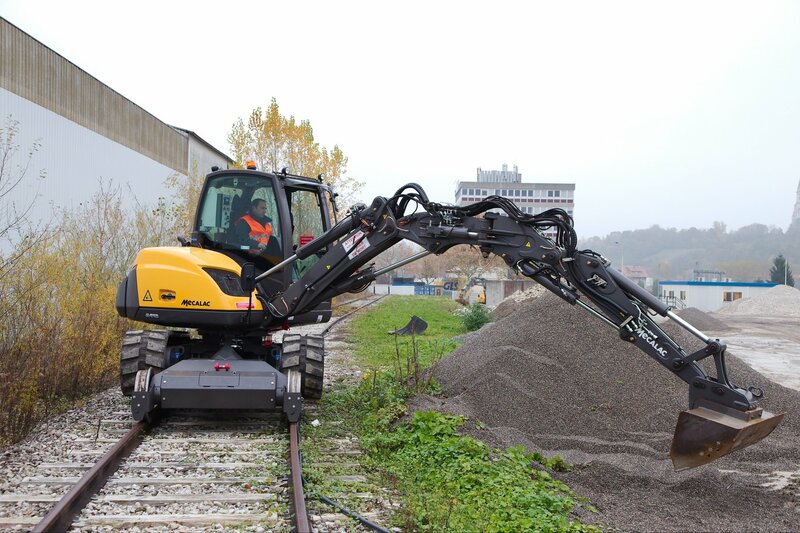 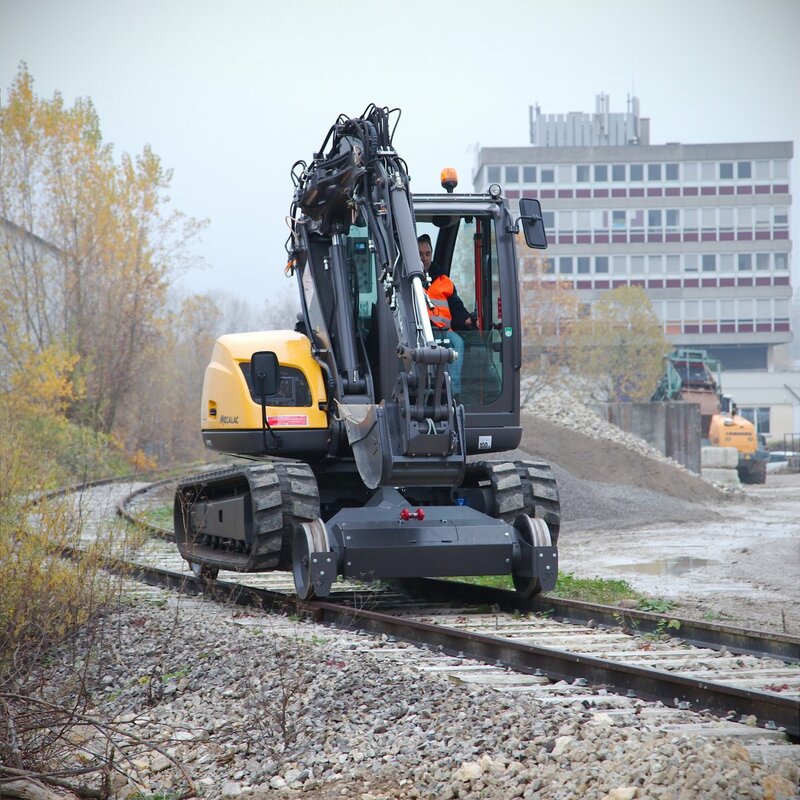 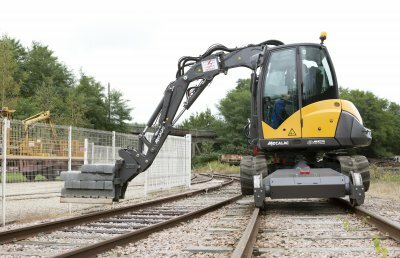 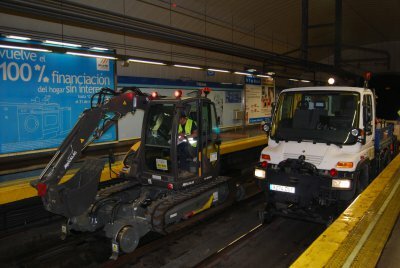 Mecalac has chosen the 8MCR model to develop the first machine of its offer specialized for work in rail applications: the 8MCR Road-Rail. 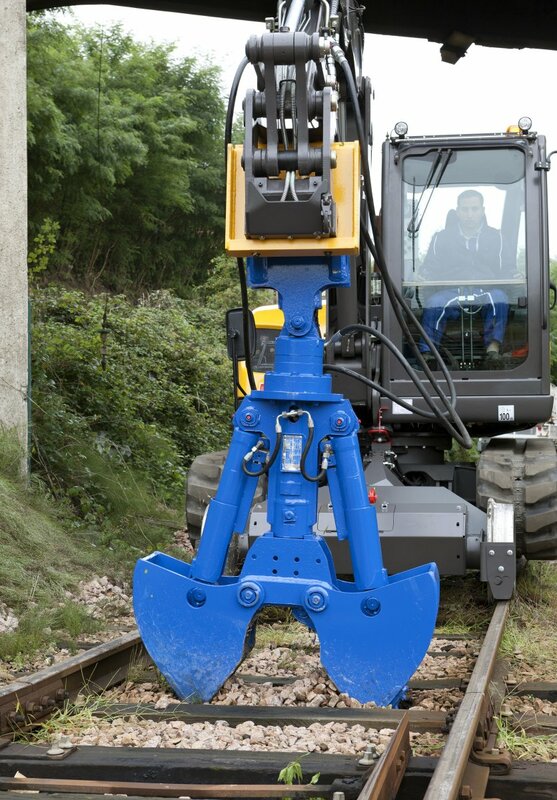 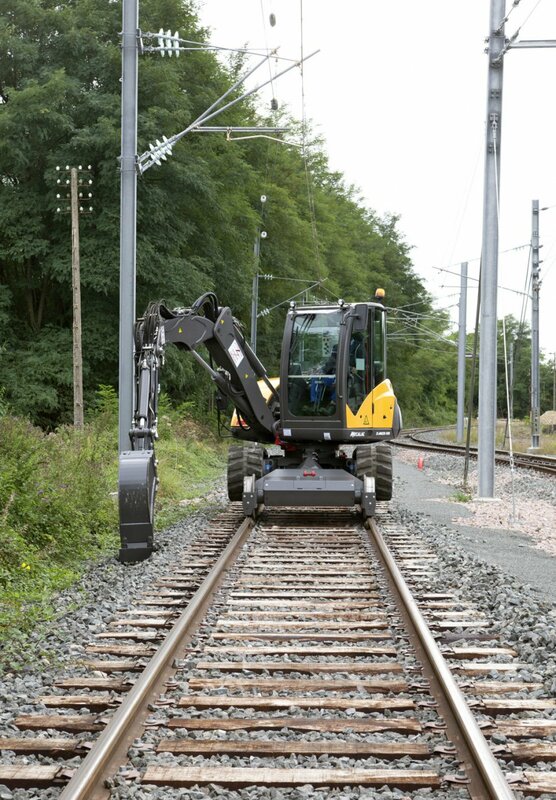 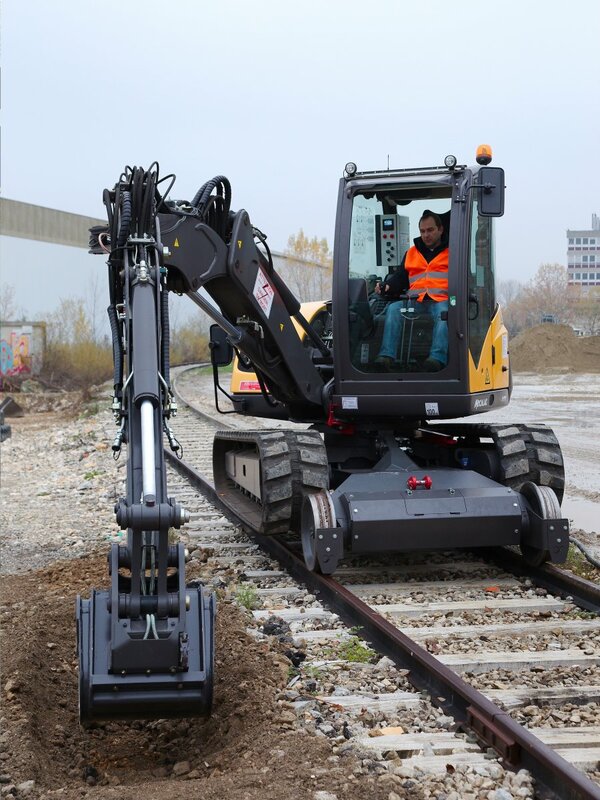 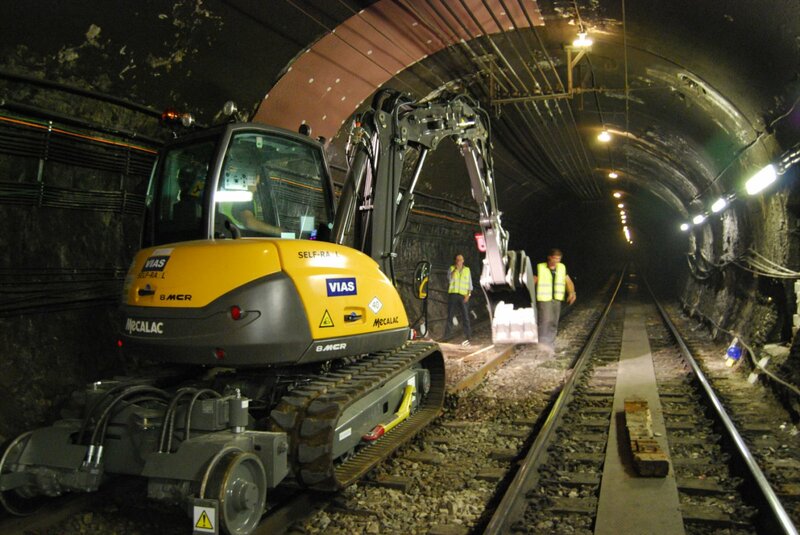 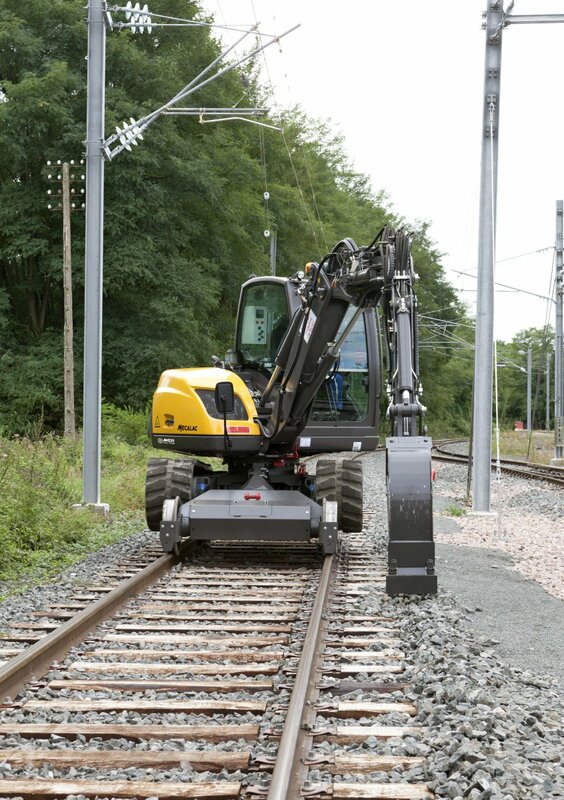 The 8MCR Road-Rail provides the optimum in compactness allied with highest-in-class performance - required for the majority of service work and railway maintenance.